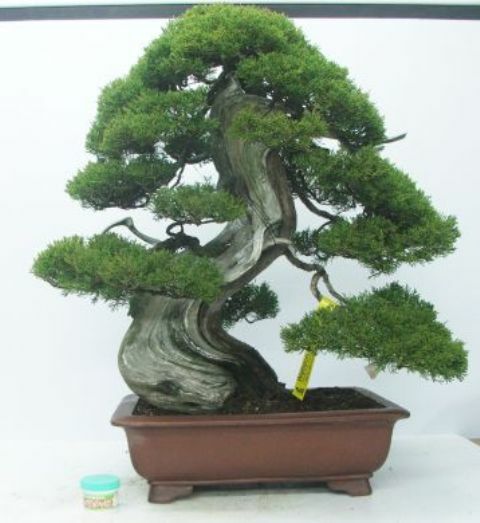 EDA>ICHI NO EDA - Japanese term denoting the lowest branch of a BONSAI>BONSAI tree. See also SACHI EDA and UKE EDA. 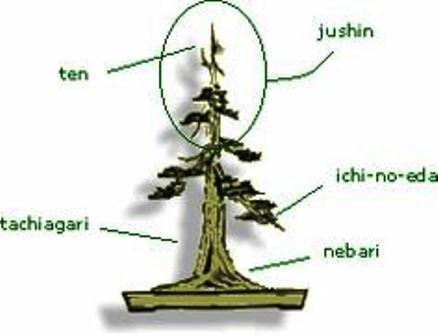 IKI MICHI - Japanese term for the live part of the tree trunk. OfTEN seen on juniper where the red BARK contrasts vividly with the pale SHARI. (Send Image) ILICIFOLIUS - Holly-like LEAVES. (Send Image) IMPERIAL - Tree size categorisation generally between 152 and 203 cms tall. Also termed "8 Handed" in Japan signifying that it would take 8 men to lift the pot. INDIGENOUS TREES (SCOTLAND) - The least difficult of trees to grow are indigenous trees i.e. those that grow naturally around us in the countryside and are used to our climatic fluctuations. 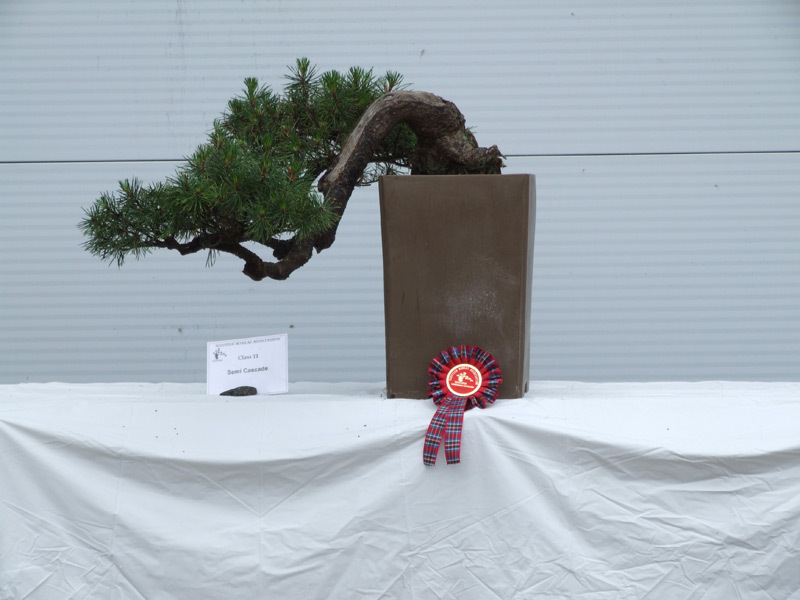 A great example is Pine - Scots (Pinus sylvestris) which is a super but often overlooked tree for BONSAI>BONSAI since it grows predominantly in the north of the UK i.e. Scotland. Another example is FIELD MAPLE (ACER CAMPESTRE) which although widespread in Southern England is predominantly found as bushes and only in the South of Scotland. The attached web link leads to a web site by the Scottish Government which outlines most of Scottish indigenous trees. INDIGENOUS TREES (UK) - It is widely accepted that ‘native’ trees and shrubs are those SPECIES that have occurred naturally in the UK since the last Ice Age. More recent introductions that have established themselves in the wild since the last Ice Age are referred to as ‘naturalised’ or ‘archeophytes’. The linked RHS web site lists both the Indigenous and Naturalised trees, bushes and shrubs found wild in the UK. (Send Image) INDOOR TREES - Generally refers to trees originating from TROPICAL or sub-tropical areas which means that, in a temperate climate, they will need to be kept in a controlled environment (house/greenhouse/conservatory) for at least part of the year, in order to protect them from frost, to which they are prticularly vulnerable. 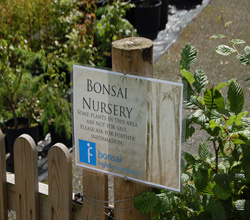 BONSAI>BONSAINURSEY>INGLEBY FOUNDATION BONSAI NURSEY - The Foundation works in the voluntary sector support concentrating on inequalities and gaps in service provision thus facilitating a rational choice of support tailored to the communities and individuals need. 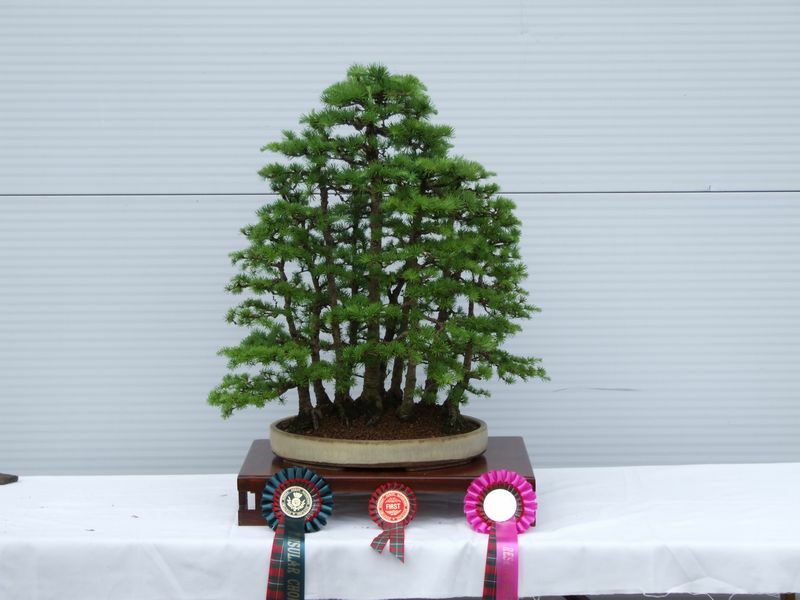 Ingleby Foundation Bonsai Nursery is one of the projects specialising in producing trees grown specifically for training as bonsai, and work hard to create starter material with a lot of character and potential. They also produce a large number of field grown trees, with excellent trunks and potential to become very good specimen trees. Currently they stock containerised field grown JAPANESE MAPLEs, JAPANESE LARCH, Blauws Juniper amongst many others. INOSCULATION - A naturally occurring phenomenom where branches or ROOTS of trees growing together or aCROSS one another will join as a GRAFT. Most common in the same kind of tree. Inosculation happens when the BARK of two branches are rubbed through to the CAMBIUM layer perhaps by wind action. Often used in the pleaching of trees or hedges. International SAIKEI Association - Dedicated to the art of Saikei and those who practice this art the association was originally set up as the British Saikei Association (BSA) in 1996. 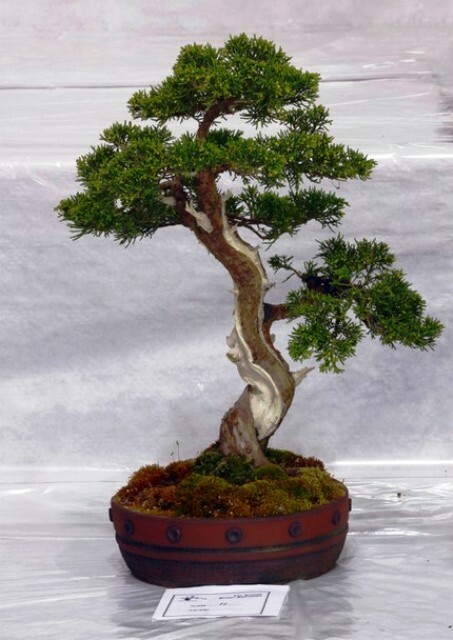 BONSAI>BONSAICLUB>INTERNET BONSAI CLUB - Internet forum for exchange of information, advice, intelligence regarding bonsai matters. (Send Image) INTERNODE - The distance between two adjacent nodes or leaf joints. 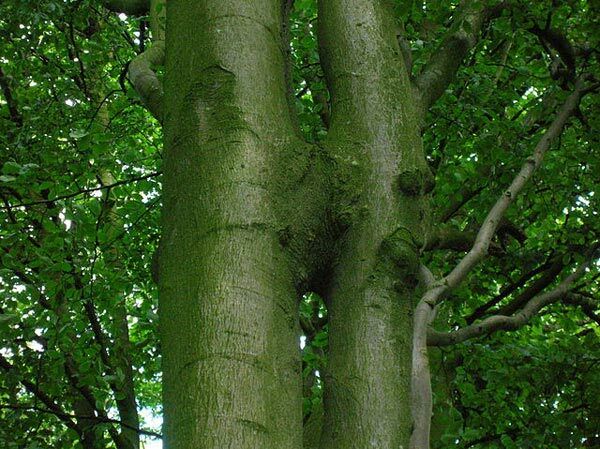 (Send Image) Inverse TAPER - Describes a situation where the trunk tapers and then fattens before tapering again producing an unsightly bulge or thickening of the trunk. 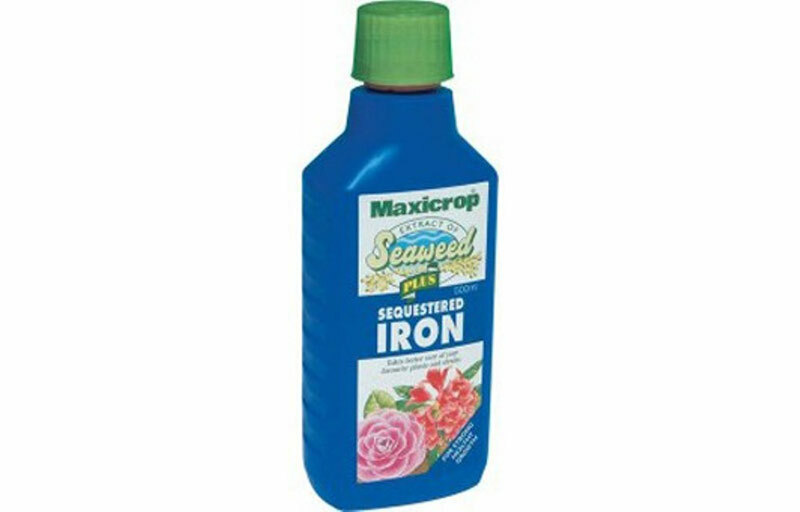 IRON CHELATES - Also referred to as "chellated iron"or " SEQUESTERED IRON" is a compound of iron and sodium mixed with a chellating agent to make it soluble in water and so accessible to plants. It is used to treat CHLOROSIS i.e. where LEAVES produce insufficient CHLOROPHYLL so becoming pale. 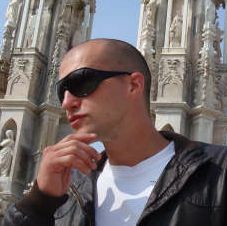 BONSAI>BONSAIDREAM>ITALIAN BONSAI DREAM - Bonsai website with very good before and after pictures.